500 South Buena Vista St. The Walt Disney Company was founded on October 16, 1923 by Walter Elias Disney and is headquartered in Burbank, CA. The Company is one of the biggest media and entertainment corporations in the world. . Walt Disney Studios is home to the four major film studios: Walt Disney Animation Studios, Pixar Animation Studios, Marvel Studios, and Lucasfilm Ltd. The Walt Disney Company also owns and operates Walt Disney Studios Motion Pictures, Disney Music Group, Disney Theatrical Group, DisneyToon Studios, Touchstone Pictures, and DisneyNature. .
Disney’s animation studio has produced around fifty-five animated feature films, with the fifty-sixth being Moana that was just recently released. Pixar has produced seventeen films; the most recent being Finding Dory. In 2009, Disney purchased Marvel Studios and has since produced multiple movies based off of Marvel comic book characters including: The Avengers, X-Men, Spider-Man, and Guardians of the Galaxy. Most recently in 2012, Disney acquired Lucasfilm Ltd. which is the studio best known for creating the Star Wars and Indiana Jones franchises. In addition to popular film franchises, Walt Disney Company owns and operates many television channels that produce popular television series’. The biggest subsidiary under Disney Media Networks is ABC, which produces hit network shows such as Scandal and How to Get Away with Murder. . Disney also owns ESPN and operates A&E Networks in a joint venture with Hearst Corporation, along with a portion of Hulu. The Walt Disney Company (NYSE: DIS) stock has been declining in the past few quarters. According to the earnings report released on November 10, 2016, operating income at Cable Networks decreased $207 million to $1.4 billion for the quarter due to decreases at ESPN and the Disney Channels. .
ESPN has been losing subscribers to online streaming, such as Netflix or over-the-top streaming services. Also, social media has provided access to a lot of breaking news and sports live broadcasting, luring viewers away from cable television. One of the biggest issues facing ESPN and The Walt Disney Company is that the sports cable network has already paid huge rights fees for the next 5 years, yet subscribers are only paying $8 a month to cover the games, which will not exist in a few years. The increase in programming and production costs were due to The Olympics programming internationally, the World Cup of Hockey rights, and higher contractual rates for college sports. . However, the growth at Freeform, which is the old ABC Family, has been very successful this quarter due to lower programming and production costs, as well as a decrease in marketing expenses. These were driven by fewer hours of original scripted programming in the current quarter. 2016 was announced as The Walt Disney Company’s most successful International Box Office record to date, reporting over $3.56 Billion through October 16th in just international sales, surpassing their 2015 general record of $3.56 Billion. . This was due to a powerhouse series of releases throughout 2016, beginning with the summer blockbuster Captain America: Civil War which brought in 1.15 Billion worldwide viewers, $745 million Internationally and was named the No. 1 film of the year internationally and globally. . The animated release of Zootopia also helped spike Disney’s international numbers as it was named the biggest animated film to ever be released in China and brought in $682.3 million internationally. Elsewhere in the studio, 2016’s surprise remake of The Jungle Book also experienced a successful release, bringing in $602.3 million internationally as well as the title of “Top Western Film of all Time” in India and the No. 3 film of the year overseas. . Furthermore, while being in the box office for nearly 16 weeks, Finding Dory managed to break records and pass the billion dollar global box office line by bringing in $484.8 million domestically and $519.9 million internationally, making it Pixar’s second billion dollar release and earning a rank as the 5th biggest animated film of all time, globally. .
As though breaking international box office records was not enough, Disney also managed to set new industry records for reaching $2 billion domestic (July 16th) and $5 billion global (July 10). As well as earned three new spots in the Hall of Fame for domestic box offices with Finding Dory, Captain America: Civil War, and Zootopia. All of this success comes with still two-and-a-half months and three major releases remaining in their calendar year. .
Marvel Studio’s Doctor Strange represents another large victory for The Walt Disney Company’s Marvel unit, even on the heels of the overwhelming success of Captain America: Civil War. Doctor Strange was projected to collect anywhere from $65 million to $75 million in ticket sales from the United States and Canada through opening weekend, positively surprising analysts and bringing in $85 million and the #1 rank instead. Since its release, Doctor Strange has made over $200 million domestically and over $400 million internationally, crossing $600 million worldwide in under 4 weeks. .
Moana, who was scheduled for a holiday release, has surpassed the high expectations set by Doctor Strange, bringing in over $81 million domestically throughout its opening weekend. .
Further down the line, fans eagerly await the release of Star Wars: Rogue One. As well as Disney’s live action remake of Beauty and the Beast and the recently announced remakes of Mulan and Snow White. All of which are predicted to be box-office heavy hitters. .
 Elena of Avalor, Disney’s first Latina princess. In light of a growing diverse culture and need for representation in the film industry, Disney had begun fighting back against claims of their white-washing tactics and ill representation in their films by allowing more diverse roles in their characters and plots. Moana, Disney’s first Polynesian heroine. This year’s recently released Moana revolves around Tahitian and Pacific Islander culture and will be the first Disney film every to be translated into the Tahitian language. . Furthermore, Disney introduced the world to their first Latina princess earlier in the year with the release of their television series Elena of Avalor, a Disney Channel show revolving around latin customs and characters  further proving the Company’s desire to focus on promoting more representation of diversity through their media. In addition to their animated strikes towards representation, Disney has announced their search for Chinese actors to star in the upcoming Mulan remake. .
 Movie poster for Disney’s upcoming live action remake of “Mulan,” featuring a Chinese actress. In addition to divulging into a more diverse space, Disney has also shown interested in expanding into a more digital and web space with their media. In September 2016, Disney began showing signs of interest for acquiring the social media giant, Twitter Inc., going as far as to work with advisors to put together a potential bid for the company. . While eventually deciding to go against the deal for image reasons, as the social network is known for its reputation of bullying and harassment, the interest in social media gives clear insight that Disney has begun exploring new digital horizons. . Many analysts have taken note of Disney’s interest to expand digitally and predict that the streaming giant, Netflix, might be next on the company’s list of potential assets. .
Time Warner, Inc. is an entertainment and media conglomerate whose works and influence reaches all over the world. First created in 1989 in a $14 billion merger between Time, Inc. and Warner Communications, Time Warner now owns magazines such as Time, People, and Sports Illustrated; HBO, The CW, and Cinemax, as well as the Turner Broadcasting System, which in turn holds networks such as TBS, CNN and Cartoon Network; DC Comics; and one of the world’s largest production companies, Warner Brothers Entertainment.  .
$108.7 billion, with AT&T. .
Who are some key executives? Time Warner is a publicly traded company on the NYSE under the ticket TWX. As of 11/17/16, their current stock price is $93.20, as compared to one of their primary competitors, Walt Disney Co., who is at $98.82. . On Oct. 27 the company announced cash dividends for Common Stock at $0.4025 per share, with a record date of Nov. 30. and a payment date of Dec. 15.  . Thanks in part to the AT&T announcement, Time Warner’s stock has been on the upswing, having increased nearly 22.07% since April 2016; additionally, about 67% of analysts covering Warner’s stock rate this as a good time to buy. . In Warner’s 3rd quarter reports for 2016, total revenues for Turner, HBO, and Warner Broadcasting combined were at more than $7 billion, and there was an increase of $153 million in cash and cash equivalents. . With the recently released Fantastic Beasts and Where to Find Them and HBO’s Westworld recently having success, revenues from ticket sales and merchandising for Time Warner can be expected to increase in 2016’s 4th quarter, and should give the company a strong year-end yield. .
Warner Bros., which was founded in 1923 and notably produced the first “talkie” in 1927’s The Jazz Singer, is one of the largest production companies in the world, with both New Line Cinema and DC Films in its toolbox. . In 2015, Warner Bros.’ worldwide box office receipts exceeded $3 billion for the ninth consecutive year ($3.71 billion worldwide), and saw both international and domestic reaching the billions. . The company houses several major franchises, including the Matrix series, the Harry Potter Franchise, and the world of DC Comics. In 2016 alone, multiple films were released to massive success, including Batman v Superman: Dawn of Justice, Sully, Suicide Squad, and Fantastic Beasts and Where to Find Them. Suicide Squad was in theaters for an impressive 14 weeks and earned more than $700 million worldwide, while Fantastic Beasts has been open for less than two weeks and has already made nearly $500 million.  . This success will likely carry into 2017, as Wonder Woman, Justice League, and two more animated Lego movies are all slated for wide release. . In news besides its releases, Warner Bros. also recently announced it will acquire Machinima, a “global programming service and production company” with a focus on gamer culture. . The deal, which was estimated to be just slightly under $100 million, will allow Machinima to be its own entity within the Warner Bros. Digital Networks. .
Home Box Office, or HBO, is one of Time Warner’s most successful divisions. In terms of its financial performance, in the 2016 third quarter HBO’s revenues increased 4%, or $59 million, to $1.4 billion due to a 5% increase in subscription revenues. .
HBO’s content has gone over incredibly well with viewers. HBO took home 22 Primetime Emmys at the 2016 Emmy Awards, the most of any other network for the 15th year in a row.  . Shows such as Veep, Game of Thrones, and Last Night with John Oliver all have loyal fan bases, while newcomer Westworld premiered in October 2016 to more than 13 million viewers. . In other news, HBO just recently launched a new video streaming service in Spain, HBO España, that is expected to very well. The service offers both original HBO content, as well as films and programming from other networks as well, like Disney, Nickelodeon, and other Spanish programming. .
AT&T is looking to purchase Time Warner, Inc. in a $85 billion deal, and despite many setbacks, AT&T is confident the deal will go through. . Were the FCC to oversee this deal, the time frame would have been elongated and the deal itself would be much less likely to go into effect. However, it is likely the deal will not be subject to the tight restrictions set by the FCC, as the FCC may be excluded from the process and the decision will be made by the Department of Justice. Randall L. Stephenson, the CEO of AT&T, is very optimistic regarding this scenario and said this deal will satisfy not only those looking for earnings growth, but also investors that are simply searching for income. . However, this deal will cause AT&T to push its debt upwards of $190 billion. . The average user of DirecTV Now will pay $35 per month, which translates to $1.32 gross margin, and despite an apparent lack of funding, there are expected to be approximately 15 million paid subscribers by 2020. . Many investors are skeptical of the deal and doubt the level of success predicted by AT&T. AT&T, being the only company of its competitors to move in this direction, will be able to corner a large section of the market before anyone else. Through securing customers with a low price now, AT&T hopes to attract many more consumers in the future while still being able to raise the price of service as necessary. . Furthermore, AT&T wants to boost their wireless business in an attempt to take back some of the market from other wireless companies. They plan to do this by allowing wireless users to watch DirecTV without using data. This is known as zero-rating and it’s frowned upon by the FCC because it would allow for AT&T to reduce competition, especially among its own assets. . Between the low prices as well as other incentives to switch, AT&T is focused on increasing its consumer following as opposed to generating revenue. Revenue will theoretically be the focus after AT&T has accrued a mass following. In addition, it’s predicted there will be less subscription cancellations as well as a large boost in advertising revenue. . Should the deal be successful, it will be one of the largest to date and will push AT&T further ahead of competitors. Should the deal not be approved, or even fail, AT&T will have to tread very carefully to avoid serious damage to the company’s finances, as well as the integrity of the company. According to the third quarter reports, net income available to Discovery decreased 22% to $219 million from $279 million due to a $50 million after-tax impairment charge because of a Lionsgate investment and higher equity-based compensation. This was fractionally offset by a decrease in taxes, currency-related transaction gains, and higher contribution from equity investors income. Discovery’s earnings per share (EPS) decreased 16% to $0.36 because of lower DCI Net Income, but that was partially offset due to lower shares outstanding. Adjusted EPS decreased 15% to $0.40 compared to $0.47 of last years third quarter. Free cash flow dramatically increased 75% to $410 million due to lower cash taxes and the timing of working capital. With all of this financial information, it seems as though Discovery has done well for itself in the third quarter, but there are some concerns within the company about distributing media more effectively and their ranking in the stock exchange. While Discovery is considered to be wildly successful, the company is not immune to hardships. Discovery posed an earnings surprise (down) of 16.39% and in the past three of four quarters has had an earnings surprise averaging 6.02%. These swings in earnings are due to the company’s struggle to produce advertising revenue. Also, problematically, a major source of its revenue comes from 10% of its customers. Stocks at discovery have been sporadic over the years. While the company was doing well in 2015, once 2016 hit, Discovery seemed to take a sharp drop, according to the NASDAQ. Stock has been consistently declining over the past months, but there is still hope for Discovery. With the growth of online streaming and OTP (over the top), many customers are cutting their ties to cable and satellite. In order to keep viewers tuning in, Discovery Communications has begun efforts to get its content on as many screens as possible. In November, Discovery joined a group of over thirty producers and distributors that signed with 560 Media. 560 Media is a Global Collections Agency that offers clients intelligence-based revenue-management services. The agency specializes in Television and Film rights that are beneficial to companies in a fragmented and intricate market. Discovery’s partnering with 560 Media will certainly give the evolving company the new edge that it desperately needs. 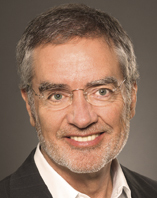 The Director of Global Music at Discovery thinks that,”…560 Media’s fresh and flexible approach to catalog representation will assist Discovery in this specialist area, allowing us to maximize remuneration in the international arena.” Management at Discovery is also working on shifting their focus toward secondary rights management for their high quality catalog. 560 Media will enable Discovery to keep tabs on their revenues and help Discovery gain earning power that is crucial in today’s market. Discovery GO’s logo. The streaming app introduced on December 2nd 2015.
efforts to catch up with other companies like Disney. Last year, the company began allowing online streaming through the Discovery GO app to cable and satellite subscribers. Research found that the key demographic for the app was between 18 and 34, yet that hasn’t quite helped the network grow. Discovery also announced that they will be starting a joint venture to hasten the growth of its Eurosport channel to an online-format as well as new collaborative efforts with Mediacom, Hulu, Sony Corporation, and CBS Corp. Discovery has also launched a joint deal to produce a new digital-only media holding company named Group9. Group9 will be a digital and social media video provider that will have an estimated 3.5 billion views per month. Discovery will own 39% of the entity and have the option to purchase the whole company outright. Discovery has recently partnered with AT&T to expand their streaming services with DirecTV Now. Other networks and program providers like Disney, HBO, Turner, and NBC Universal have signed up to work with AT&T in their new DirecTV Now subscription video on demand (SVOD) program. There will be three streaming options provided. Two will charge a monthly rate, and the third, Freeview, will be ad-supported. There will be a wide variety of content on the streaming service that will vary depending upon which option the subscriber chooses.
. @Cablefax. “Discovery Upfront.” Cablefax. N.p., 01 Apr. 2016. Web. 29 Nov. 2016. .”Christian Wheeler.” ReviewForTune. N.p., 18 Nov. 2016. Web. 29 Nov. 2016.
. “Discovery Communications, Inc. – Company Profile, Information, Business Description, History, Background Information on Discovery Communications, Inc.” Discovery Communications, Inc. – Company Profile, Information, Business Description, History, Background Information on Discovery Communications, Inc. N.p., n.d. Web. 29 Nov. 2016.
. “Discovery Communications, Inc.” Discovery Communications Inc. N.p., n.d. Web. 29 Nov. 2016.
. “Discovery Third-Quarter Earnings, U.S. Ad Revenue Drop.” Surghar Daily. N.p., 03 Nov. 2016. Web. 29 Nov. 2016.
. “CNBC Excerpts: David Zaslav, CEO of Discovery Communications, on CNBC’s Closing Bell Today.” CNBC. N.p., 19 Oct. 2016. Web. 29 Nov. 2016.
. Munson, Ben. “Discovery Signs Deal with 560 Media for Secondary Rights.” FierceCable. N.p., 18 Nov. 2016. Web. 10 Nov. 2016.
. Rossolillo, Nicholas. “Can Discovery Communications Survive in a Streaming TV World?” The Motley Fool. N.p., 01 Jan. 1970. Web. 29 Nov. 2016. Comcast began its history as American Cable Systems, a smaller cable operator from Mississippi. It was purchased by Ralph Roberts and his business partners in 1963, and in 1969 was moved to Pennsylvania. Here it was renamed “Comcast”, a mixture of the words Communication and Broadcast. It then went public in 1972, and from there has been ever expanding. It is considered to be one of the least-liked media conglomerates, winning “Worst Company in America” twice. Most experts believe this to be true because of the large number of assets owned by Comcast, as well as the monopoly-like power they have in terms of pricing for their various subsidiaries. Comcast has bought or merged with many different companies, including Spectacor, Microsoft, AT&T, Sony Pictures, and NBCUniversal. Not only have they expanded into the telecommunications market, they have also bought stakes the sports market, because of their controlling stake in the Philadelphia Flyers . In 2014, they tried to buy Time Warner Cable, but were denied by many different fronts, the largest being that the government was worried that the merger would lead to Comcast having a monopoly in the broadband and video markets. Concerned citizens wrote to the government expressing their fears about the influence that a merged Comcast-TimeWarner conglomerate would have on the broadcast and TV-streaming platforms. The deal was officially abandoned in April of 2015 . Comcast’s most well known acquisition has been NBCUniversal, which has many different assets, ranging from professional sports to entertainment. Today, Comcast is one of the biggest telecommunications companies on the planet, with assets in television, film, gaming, distribution, and sports. Comcast has seen a steady increase in their stock price over the last year, which sits at $70.14 currently. In comparison to other media conglomerates, whose stocks have been seeing a decline, Comcast Cable Communications and NBCUniversal have both been doing well, leading to the surprising upward movement of the company’s stocks. Comcast’s stock prices over the period of a year. NBCUniversal (NBCU) is a media conglomerate that is a subsidiary of Comcast, after the latter acquired the former in a $6.5 billion deal in 2011. NBCU was originally formed in 2004, when GE’s National Broadcasting Company merged with Vivendi’s Vivendi Universal Entertainment. Comcast expressed interest in buying NBCU from GE and Vivendi in 2009, bought a 51% stake in 2001, and fully owned the company by 2013 . NBCUniversal recently announced its extended partnership deal with BuzzFeed , after a successful year-long initial deal. The two companies plan to collaborate on promotional and original content for both platforms, and aim to create new digital content for NBCUniversal’s premium users. Another deal that NBCUniversal announced was with Apple. Starting from January 2017, NBCUniversal will be the sole provider of advertising inventory on Apple’s app, Apple News . NBCUniversal is made up of two main divisions: NBC and Universal Studios. Apart from these two divisions, NBCUniversal also owns a part of the streaming service Hulu, along with Fox Entertainment Group, ABC, and Turner Broadcasting System. NBC  is an american television broadcast network, with its headquarters in the Comcast Building in Rockerfeller Center, in New York City. As of 2015, NBC owns ten owned-and-run stations, and over 221 network affiliates in 48 states. The network has a national reach of 95.52% of all american homes. NBC Programming broadcasts some of the most popular network television shows on air currently, including The Tonight Show Starring Jimmy Fallon, The Voice, Late Night With Seth Meyers, and Saturday Night Live. Universal Studios is the American film studio owned by the Universal Filmed Entertain Group, and is considered to be the oldest surviving film studio in the United States. Its film studios are based in Universal City, California. Universal Studios is credited as the first studio to release three films that each crossed over $1 billion in the box office, a feat the company achieved in 2015. The studio has a large number of successful film franchises under its roof, including Jurassic Park, Back to the Future, and the Jason Bourne series. Universal Studios also has a large list of upcoming movies, including Pitch Perfect 3, The Mummy, and Fast 8 . Universal Studios OrlandoUniversal Parks & Resorts is a division of the Universal Filmed Entertainment Group, and operates all of the Universal theme parks and resorts all around the globe. It is known for its various rides and attractions that are based off of pop culture characters and has attracted over 50 million yearly visitors to its parks. The first Universal Studios theme park opened in Hollywood in 1965. Since then, Universal Studios has opened parks in 3 different countries, and has 3 new parks upcoming in Moscow, South Korea, and Beijing . DreamWorks Animation, an animation studio based out of Glendale, California, was founded in 1994, by Steven Spielberg, Jeffrey Katzenberg, and David Geffen. The studio is known for its animated talking animal franchises (Shrek, Madagascar), and has 33 feature films that have grossed over $13.48 billion worldwide . NBCUniversal, a division of Comcast, announced its intention to acquire DreamWorks Animation (DWA) in April 2016. By August 2016, NBCUniversal has successfully acquired DWA for $3.8 billion. DWA is now a division of Universal Studios . After the acquisition, Universal Studios was supposed to take over distribution for all of DreamWorks Animations’s films, however, DWA had signed a 5-year deal with 20th Century Fox, and intends to honor the deal until the end of the contract, with the film Captain Underpants. Universal will take over distribution in February 2018, beginning with the Margot Robbie and Hugh Jackman starrer, Larrikins. DreamWorks Animation owns a themed land in the Dreamworld amusement park in Gold Coast, Australia, where they offer the DreamWorks Experience, which contains three distinct areas based on their most popular film franchises- Shrek, Madagascar, and Kung Fu Panda. Each area includes rides and attractions for people of all ages. DreamWorks Animation also has a deal with the Royal Caribbean Cruiseline, and announced in 2010 that the DreamWorks Experience would be offered as part of the cruises. DreamWorks Animation has a list of movies scheduled to release in the next few years, each one anticipated to receive positive reviews and do well in the box office. The movies include How To Train Your Dragon 3, Shrek 5, and The Boss Baby. Cumulus Media is a radio broadcasting company with an audience reach of 245 million. Cumulus distributes its sports, news, talk, and entertainment content through its 447 stations that are owned-and-operated by the company. The company’s reach expands across 90 markets in the United States, including eight of the top ten markets in the country . In a $260 million deal in December of 2013, Cumulus acquired Dial Global, Inc., and renamed it Westwood One. Westwood One now serves as a programming service, allowing Cumulus to deliver its content across multiple platforms . Westwood One is a national syndication company that was acquired by Cumulus Media in 2013. Originally known as Dial Global, the company functioned under CBS for over three decades and specialized in syndicated sports broadcasting. Currently, they cover sports such as football in the NFL, golf during The Masters, and broadcast Olympic coverage every two years for both the Winter and Summer games . Westwood One is producing four Christmas from Nov 26th to December 1st 2016. Some of the featured acts will include Train, Neil Diamond and Rascal Flatts. Westwood One looks to create relevant content that pertains to the upcoming Holiday of Christmas . NASH FM is a Cumulus-owned media brand and group of radio station broadcasting across the country. Named after the cultural center of country music, Nashville Tennessee, the NASH FM brand includes 36 different local radio stations that all broadcast on an FM frequency. This brand’s content is broadcasted through the the nation and covers genres from country to rock to hip-hop. It has over 300K followers on their official Twitter account, and often host shows with famous country singers as guests. Pictured above is the winner of the NASH Next 2016 Contest, Todd O’Niell. Hosted by NASH FM, this contest seeks to find the best talent that might be the next big thing in country music . As well as being a local station in Iowa, NASH FM also syndicates its shows on a national level under the guidance of Cumulus . For Cumulus, 2015 was a year of tragedy. The company accumulated $2.5 billion in debt. The share price of Cumulus was worth spare change, dropping from its original price by almost 90 percent . One reason this striking increase in debt occurred was because of the hit that the overall radio industry has taken from a significant decrease in listeners these past few years as online streaming content has become more popular. Just in 2016, the revenue of the industry has fallen flat . Cumulus’ top competitor, iHeartmedia, even suffered from this online conversion with its share price dropping by 95 percent . Cumulus has also still been struggling with paying off the debt it accumulated when it bought Citadel, taking on a debt count of $2.8 billion . Cumulus also made the mistake of neglecting tp focus on local markets and caring only about its acquisition of Westwood One and Citadel. Cumulus’ risky business decisions have led the company to drown rather than thrive . However, the new CEO of the Cumulus, Mary Berner, seems to have turned the company in a more positive direction . In the past three years, Cumulus has seen a decline in sales revenue, a rise in sale expenses, and thus a decline in its net income. In 2014, Cumulus’ net revenue was $1.26 billion, with a net income of $11.4 million. The following year, in 2015, their net revenue was $289.44 million with a net income loss of $542.18 million. This is in part due to the massive amount of debt that it has accumulated ($2.5 billion). In 2016, Cumulus announced at the end of the Third Quarter that its net revenue so far for the year is $286.14 million, which is 1.1% down from 2015. The company also reported that 2016’s net income is $32.96 million, which is up from a net income loss of $541 million. 895 million in the first three-quarters of 2015, $14.4 million of its expenses were spent on a legal dispute with CBS over syndicated content. President Mary Berner expressed the failures of previous years and the somewhat hopeful future of the company by stating that Cumulus, “gained share for the first time in at least four years (in 2016)” . As the newest CEO, Mary Berner is leading a key initiative to turn around the company. Berner has an extensive resume, including her position as CEO at Reader’s Digest Association, Fairchild Publications, and Association of Magazine Media . Berner has experience with companies in trouble, helping Reader’s Digest at a time when it was undergoing reorganization due to bankruptcy . With her expert background in managing large companies, Berner has immediately taken on the challenge of addressing key issues of decreased focus on national syndication, and increased focus on employee satisfaction and local affiliates . In order to combat a large amount of debt that has been accumulated by the company, Cumulus plans to create a more open dialogue with its stakeholders. This way, Cumulus can come up with strategies aimed at reducing the debt, because attempts in previous years have not worked. Cumulus also stated that it will review all possible options in order to its maximize its efficiency on both a corporate, national and local level. Cumulus has announced that the company will undergo a restructuring of its organization. It will shift the control of the company into the hands of its localized affiliates and work from a “bottoms-up” approach by strengthening its foundation. 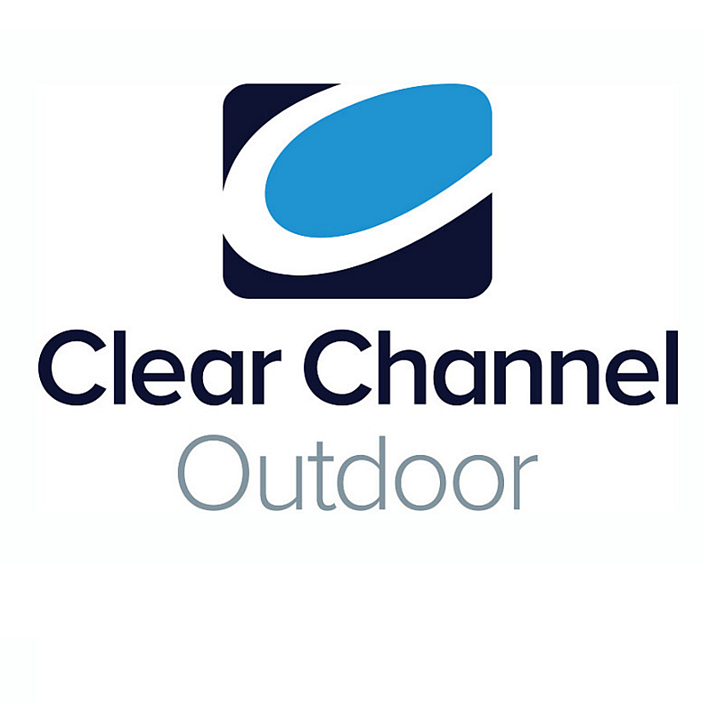 Cumulus believes that this approach will increase ratings as well as improve the operation of the company. Employee Turnover over the course of 2015 and 2016 . With prior negative feedback from employees about the culture of Cumulus, the company looks to initiate a better work environment . Communications will be enhanced through a “top-down” process, where Berner stated that she will answer any employee’s email within 48 hours. Policies about vacation and leave will be reevaluated so that employees will receive improved benefits. Though the merit system has not been manipulated for the past ten years, Cumulus declared that the system will be increased to promote motivation and work efficiency. This initiative has reflected positively among employees. As shown in the above graph, turnover significantly decreased between 2015 and 2016, where voluntary sales turnover experience the most impact, where turnover was reduced from 42% to 27% from April of 2015 to April of 2016 . Cumulus has also started to improve its sales execution in hopes of decreasing its debt. The company aims to incorporate new sales strategies both on a national and a local level. Cumulus also stated that it will extend measurements of sales productivity in order to gather more research about what works and what does not work. That way it can tackle issues and create more productivity in the future. Cumulus is also trying to improve both its marketing tactics, and improve the training given to new employees. As Cumulus strives to create a more optimal working environment with increased employee satisfaction, the future looks brighter than it did before Mary Berner stepped up as CEO. With the restructuring of management, as well as the focus on local markets over national syndication, Cumulus has taken the necessary steps in order to stay afloat. Although the company still needs to address the debt situation, Cumulus continues to make strides towards increasing revenue and slowly paying the debt off . Columbia Broadcasting System, known as CBS Corporation, was founded in 1927 as competition to the National Broadcasting Company (NBC). CBS began as a major contributor in the radio business, then moved into television as that transition of medium was occurring . CBS Corporation branches out to all sorts of media, including radio, television, film, cable, as well as interactive media. The company owns a wide variety of operations such as its own television distribution, consumer products, television studios, home entertainment, and sports networks. CBS also has joint ventures with major companies such as Lionsgate and Warner Bros. Entertainment. Their deal with Warner Bros. allowed them to create the CW, a television network that has produced successful shows such as “Arrow” and “The Vampire Diaries” . The partnership between Lionsgate and CBS led the the development of “Pop”, which combines both major companies talents in programming, production, and distribution. CBS is a publicly traded company in the New York Stock Exchange, listed as CBS.A and CBS. Their stock has seen a steady increase over the past year, currently sitting at $60 per share, as opposed to $50 per share a year ago . CBS had a successful third quarter this year, with revenues increasing 4 percent to $3.4 billion. Revenue is up from $3.26 billion at the same time last year. This was due to an increase in revenues and fees from CBS affiliate stations and a growth in their digital distribution platforms. There was also a negative impact in advertising revenue from the Republican and Democratic National Conventions, the first Presidential debate, and the 2016 Summer Olympics . CBS NYSE Closing Bell, 12/9/15. Some of the largest contributors to CBS’s success are its cable networks, such as Showtime Networks and CBS Sports Network. Their revenue increased 14% to $598 million in this third quarter, growing from $526 million in last year’s third quarter. This aspect of the company will continue to prosper, with the growth in over-the-top (OTT) streaming services across media . Right now, CBS Corporation is attempting to close a deal in which Viacom will merge with CBS. 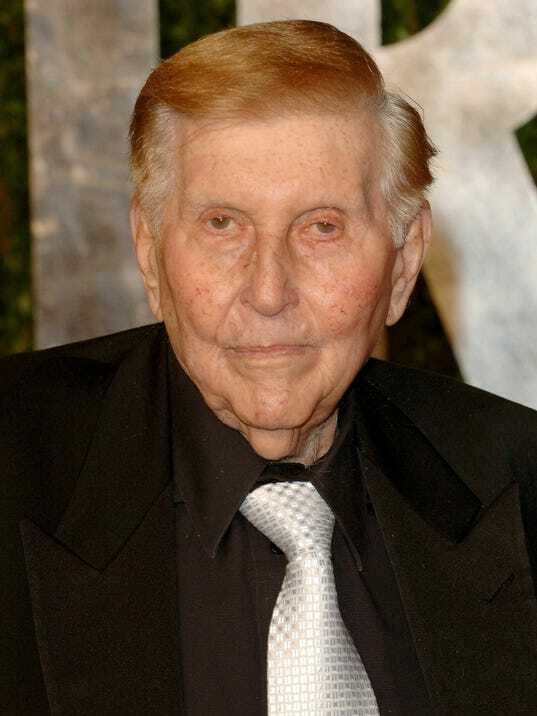 Both Sumner and Shari Redstone, Chairman and Vice Chairman of CBS, are large supporters of the deal. However, what is halting the deal is both companies board of directors have obligations to their shareholders. These shareholders are still exploring the potential problems that could happen if the deal were to be made. Some of these issues include pricing and structure after the merger is made. Even though the deal is still in talks, it is likely that it will happen because a single family, the Redstone’s, own 80 percent of both companies . With the emergence of AT&T’s aggressively priced DirectTV Now (merging internet and television like never before), CBS is left to wonder one question: Why? A deal of this magnitude essentially leaves CBS yearning to somehow affiliate itself with this mega-deal. CBS has already taken the initiative to converge with other prosperous companies, inking a small deal with Google that involves a “skinny bundle” of TV networks to be called YouTube Unplugged. The drive CBS has to concern itself with as many large companies as possible depicts its drive to remain a powerful media conglomerate . CBS has been in the preproduction process of a new Star Trek series titled Star Trek: Discovery. This series will only be available on CBS’s online streaming service CBS All Access, after premiering on CBS. The decision to stream the show was made because science fiction shows have historically done poorly on broadcast television. CBS believes that a majority of Star Trek fans will pay for the services of CBS All Access so they will not miss out on the new series. Star Trek: Discovery is said to have a diverse and better represented cast, with a female lead and at least one gay character . The company is hoping that this new series will also bring more viewers to this service, with about 1 million subscribers already. A commercial-free option of CBS All Access is now available, which costs $9.99 a month, as opposed to the ad-supported service costing $5.99 a month . CBS is starting to take similar approaches to that of Netflix. Leslie Moonves stated that he is a big fan of Netflix and is taking some strategies that will help with CBS All Access. Rather than just displaying old shows on All Access, CBS has decided to take the same approach as Netflix by creating its own original shows. They use this strategy in order for their viewers to keep interest in All Access and not cancel their memberships. Previously, there would only be two or three buyers to get content from CBS. Now, streaming services are benefitting CBS Corporation because they can sell their syndicated content to Netflix, as opposed to these two or three buyers. There has also been continuing success with CBS’s subsidiary, Showtime. Showtime is another over-the-top streaming site, similar to All Access. Moonves is going to make a continual amount of original programming, aiming for once a month released series or seasons. He also wants there to be an increase from about one million to four million subscribers in the next few years . CBS has added six new shows this fall season to their primetime lineup, three comedies and three dramas. 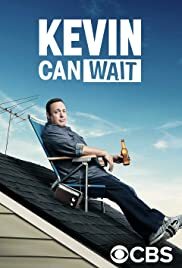 The three comedies are Kevin Can Wait, Man With a Plan, and The Great Indoors. These shows have big-name stars, such as Kevin James, Matt LeBlanc, and Joel McHale. The new dramas, Bull, MacGyver, and Pure Genius attract a wide range of audiences due to the differences of the casts. These shows are doing well so far, but time will tell which ones remain on the network and which will not make the cut . It was announced November 28th that CBS CEO and Chairman Leslie Moonves will be attending the UBS 44th Annual Global Media and Communications Conference in New York City on December 5th for a question-and-answer session . This is a conference where companies join to meet and host formal presentations over a three day period . Two new shows are set to premiere later in the 2016-2017 season on CBS. Training Day and Doubt are both dramas that revolve around crime and the legal system. This will hopefully help the ratings of the other dramas already showing on CBS . The future of CBS Corporation looks very bright, and many changes are set for the upcoming months and years. https://www.britannica.com/topic/CBS-Corporation,. (2016). CBS Corporation. Retrieved 24 November 2016.
 http://logok.org/cbs-logo/,. (2016). CBS Logo. Retrieved 25 November 2016.
 https://www.cbscorporation.com/about-cbs/,. (2016). About CBS Corporation. Retrieved 25 November 2016.
 http://cdn5.thr.com/sites,. (2016). Leslie Moonves. Retrieved 25 November 2016.
 http://www.zimbio.com/photos/Shari+E.+Redstone,. (2016). Shari E. Redstone Photo Stream. Retrieved 25 November 2016.
 http://www.cbscorporation.com/2016/06/jim-lanzone-named-chief-digital-officer-of-cbs-corporation/,. (2016). Jim Lanzone named Chief Digital Officer of CBS Corporation. Retrieved 25 November 2016.
 https://www.cbspressexpress.com/cbs-studios-international/executives/view?id=241,. (2016). Armando Nunez. Executives. Retrieved 25 November 2016.
 https://finance.yahoo.com/quote/CBS?p=CBS,. (2016). CBS Corporation Finances. Retrieved 26 November 2016.
 http://phx.corporate-ir.net/External.File?item=UGFyZW50SUQ9MzU3MzQyfENoaWxkSUQ9LTF8VHlwZT0z&t=1&cb=63613799985568029,. (2016). CBS Annual Results. Retrieved 26 November 2016.
 http://www.gettyimages.com/event/the-talk-rings-the-closing-bell-at-the-new-york-stock-exchange-595510127?#sheryl-underwood-sara-gilbert-shahttps://youtu.be/bqm9HSYbf0oron-osbourne-aisha-tyler-and-julie-picture-id500711866,. (2016). CBS’ “The Talk” Rings The Closing Bell At The New York Stock Exchange. Retrieved 26 November 2016.
 http://phx.corporate-ir.net/External.File?item=UGFyZW50SUQ9MzU3MzQyfENoaWxkSUQ9LTF8VHlwZT0z&t=1&cb=636137999855680291,. (2016). CBS Annual Results. Retrieved 26 November 2016.
 http://www.investopedia.com/stock-analysis/111716/heres-whats-holding-viacomcbs-merger-cbs-viab.aspx,. (2016). Here’s What’s Holding Up the Viacom-CBS Merger. Retrieved 26 November 2016.
 http://variety.com/2016/digital/news/cbs-directv-now-launch-att-1201925053/,. (2016). CBS Won’t Be in DirecTV Now at Launch, but Talks With AT&T Continue. Retrieved 25 November 2016.
 https://www.youtube.com/yt/brand/downloads.html,. (2016). Youtube Logo. Retrieved 26 November 2016.
 http://www.avclub.com/article/cbs-admits-star-trek-discovery-wouldnt-cut-it-netw-245919,. (2016). CBS admits Star Trek: Discovery wouldn’t cut it on broadcast TV. Retrieved 26 November 2016.
 http://www.cheatsheet.com/,. (2016). Star Trek: Discovery Logo. Retrieved 27 November 2016.
 https://wwwimage-secure.cbsstatic.com,. (2016). 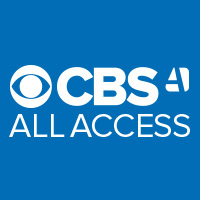 CBS All Access Logo. Retrieved 27 November 2016.
 http://www.fool.com/investing/2016/10/01/why-cbs-corporation-is-a-big-fan-of-netflix.aspx,. (2016). Why CBS Corporation Is a Big Fan of Netflix. Retrieved 27 November 2016.
 http://www.cbs.com/shows/cbs-fall-premieres-2016/news/1005234/get-a-first-look-at-the-2016-2017-cbs-primetime-lineup/,. (2016). Get a first look at the 2016 2017 cbs primetime line up. Retrieved 28 November 2016.
 https://images-na.ssl-images-amazon.com/images/M/MV5BMjIyNDgyNDY4Nl5BMl5BanBnXkFtZTgwMDg4NDQwMDI@._V1_UX182_CR0,0,182,268_AL_.jpg,. (2016). Kevin Can’t Wait Poster. Retrieved 28 November 2016.
 https://images-na.ssl-images-amazon.com/images/M/MV5BMTgxMDM0NDAxMl5BMl5BanBnXkFtZTgwMDA5NDQwMDI@._V1_UX182_CR0,0,182,268_AL_.jpg,. (2016). 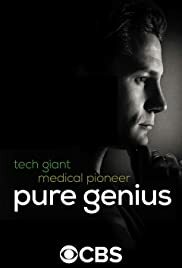 Pure Genius Poster. Retrieved 28 November 2016.
 http://www.cbscorporation.com/2016/11/cbs-corporation-chairman-and-chief-executive-officer-leslie-moonves-to-participate-in-the-ubs-44th-annual-global-media-and-communications-conference/,. (2016). CBS Corporation and Chairman and Chief Executive Officer Leslie Moonves to Participate in the 44th Annual UBS Global Media and Communications Conference. Retriever 28 November 2016.
 https://www.ubs.com/global/en/investment-bank/key-investor-conferences/global.html,. (2016). Global 2016 Conferences. Retrieved 28 November 2016.
 http://www.cbs.com/shows/cbs-fall-premieres-2016/news/1005234/get-a-first-look-at-the-2016-2017-cbs-primetime-lineup/,. (2016). CBS Fall Lineup. Retrieved 28 November 2016.